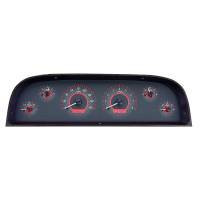 The dashboard gauges of a classic Chevy or GMC truck were designed to be easy to read. 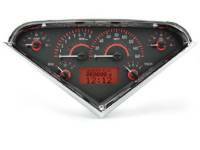 Drivers can easily assess the speedometer and gauges without much trouble. While there's nothing wrong with the original gauges, you can get a more modern look and more accurate readings with a new digital dash panel. 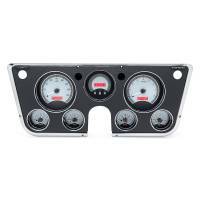 Dakota Digital has a line of products that perfectly compliment Chevy truck restoration projects. H & H Classic has Chevy truck restoration parts and the Dakota Digital lineup in our easy to use online store. Our Dakota Digital selection includes the varied assemblies. There are many different colors, shapes, looks, etc. 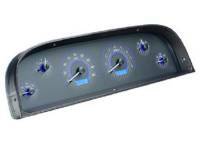 to choose from., meaning you can customize your truck panel the way you want! 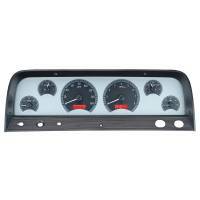 If you are ready to update the dashboard in your truck, you will find everything you need below. 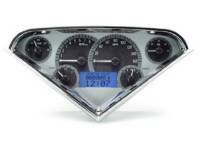 The dashboard gauges and needles of the classic trucks were large, which made them very visible. The speedometer ran on a cable that was attached to a gear in the transmission. These older speedometer were not terribly reliable due to the ability of tire size to alter the recorded speed as opposed to true speed. Larger tires than the factory-installed size will register slower speeds. 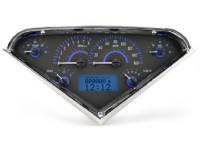 Even improper speedometer gears in replacement transmissions can give false speedometer readings. 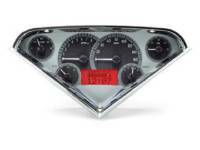 The fuel gauges were usually inaccurate by design. They deliberately dropped faster once the needle hit the halfway point. When you are customizing your classic truck, you may wish to make a switch to digital. When you make the move to a digital instrument panel, you get a more precise reading of gauges and speeds, which matters if you are watching your temperature or your fuel. 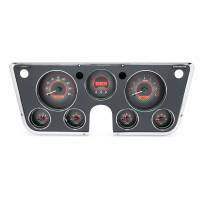 These dashboards are stylish, and they are designed to fit your truck. 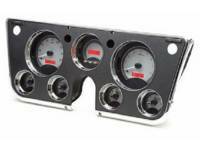 H&H Classic carries quality reproduction parts for your classic Chevy or GMC truck. 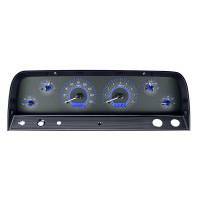 If you are ready to go digital, then you will find all the dash components you need here.